Search for the best flight prices from Stansted to Karlsruhe. Compare prices, book today and save money with Stansted Airport. 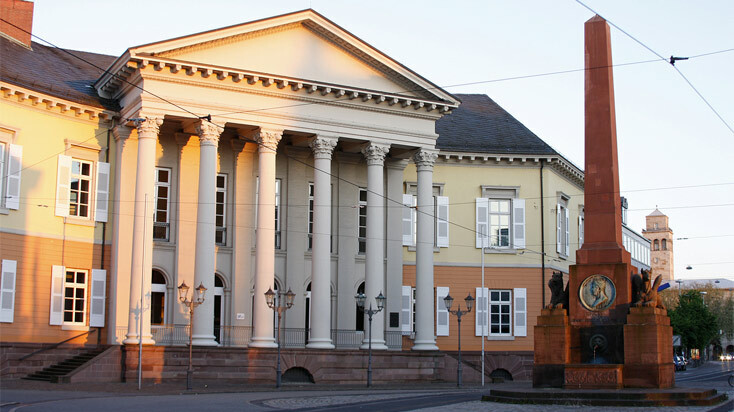 Sitting neatly on the border between Germany and France, Karlsruhe boasts the best of both its German heritage and French influence. While it is much smaller than other German cities, Karlsruhe still has a lot to offer its visitors, including the ZKM Centre for Art and Media which is housed in a former weapons factory and the breath-taking Karlsruhe Palace. The weather is particularly mild for Germany, making it a great choice for visitors who fancy a little sun. Karlsruhe has seen a lot of development in recent years which has included a range of modern hotels. If you fancy enjoying the luxury of Karlsruhe’s new developments you should book into the Der Blaue Reiter which combines a modern design with superb service. Alternatively, some of the city’s older buildings offer a fantastic experience for visitors, such as the Schlosshotel which has elected to keep many of its original stylings to create the feeling of stepping into another era. The high streets of Karlsruhe offer not only the most incredible German antiques and brands but also French fashion and trinkets. If you’re visiting Karlsruhe and start to feel the urge to shop don’t fight it as you’re sure to discover plenty of finds that you’ll treasure for life. Those preferring a more typical mall experience can head out to Ettlinger Tor where there are over 130 shops and restaurants to explore. The food and drink of Karlsruhe is more of a hodgepodge of various German, French and Swiss dishes that have been adapted to compliment one and other. Soup is common and often served with soft pastry such as Dampfnudeln, large dough balls, or Schupfnudeln, dumplings. Sweet lovers should be on the lookout for Schwarzwälderkirschtorte, or Black Forest cake, which is said to be one of the regions greatest delicacies. A medieval fair with Christian roots held in nearby Bretten, the Peter and Paul festival sees the town of Bretten transformed into a medieval hamlet for 3 days while everything from swordplay to ancient crafts are practised. If you want a real medieval experience there are few better than the Peter and Paul festival. Karlsruhe’s museum night, Kamuna is the one night of the year where all the local attractions are open until midnight. There are often one-day exhibits or other events in the museums, making this the perfect night to take in everything the city has to offer.